All I’m saying is, going to university might give you some other skills you can fall back on, just in case you DON’T get chosen to be a mutant ninja. ASCII Art Farts #3839: IT’S SUPPOSED TO BE A PIPE, IDIOT. The street sizzled. The clatter of skytrains, the car horns, the rattle of speeding trolleys, the twitter of traffic lights and the massive hubbub of human voices, all seethed in dark blue air, sliced into smithereens by columns of light of all colors and shades. Like giant serpents, endless throngs poured this way and that, filling sidewalks to capacity, lit up by square shop windows and by house lights sinking into the twilight. Freshly watered asphalt hissed under hundreds of car tires. Slithery black and silver bodies of elongated vehicles flitted by, one after another. Without aim or thought I kept walking, a small indivisible particle pressed into the crowd, letting it carry me like a cork buoyed by waves. The street breathed, murmured and rumbled, drenching me with cascades of lights and wafts of women’s heavy perfumes, sometimes with the acrid sharp smoke of southern cigarettes, other times with the choking sweetness of opium-laced cigars. Neon letters of dimming and illuminating advertisements scampered frenetically up the fronts of buildings, fountains swooshed upward, wisps of flares and fireworks flickered madly, showering the heads in the crowd with their dying glints. I walked past gigantic portals shimmering with light, past dark storefronts, past sky-high columns of unfamiliar edifices, wedged into the mobile, multilingual mass of people engaged in a perpetual conversation, and yet more alone than on a desert island. Hands in pockets, mechanically I jingled a couple of nickels, my entire fortune. 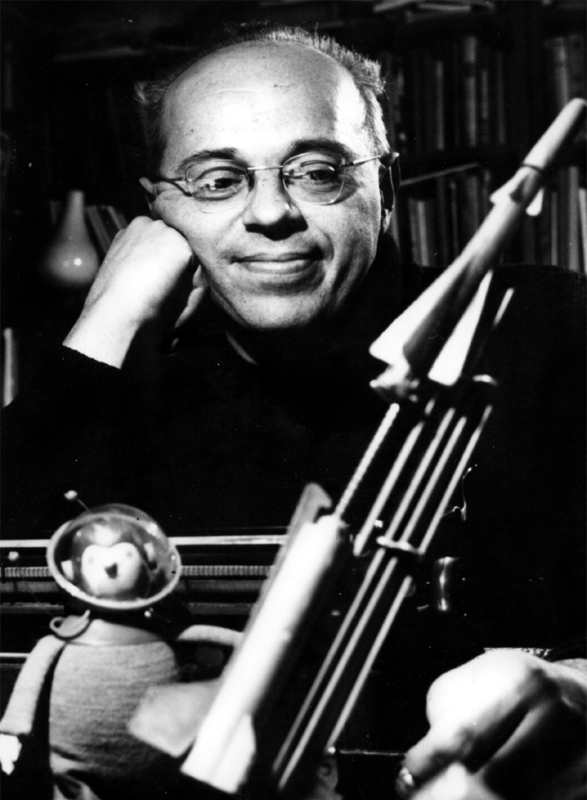 WWB: From Man from Mars by Stanislaw Lem, translated from the Polish by Peter Swirski. Thank your parents for both. 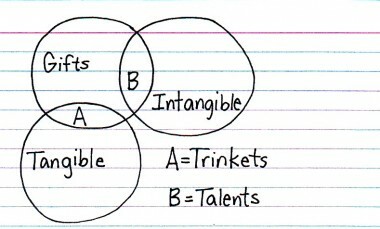 Indexed Thank your parents for both..
Posted in found on the web	| Tagged comic, found on the web	| Comments Off on Thank your parents for both. 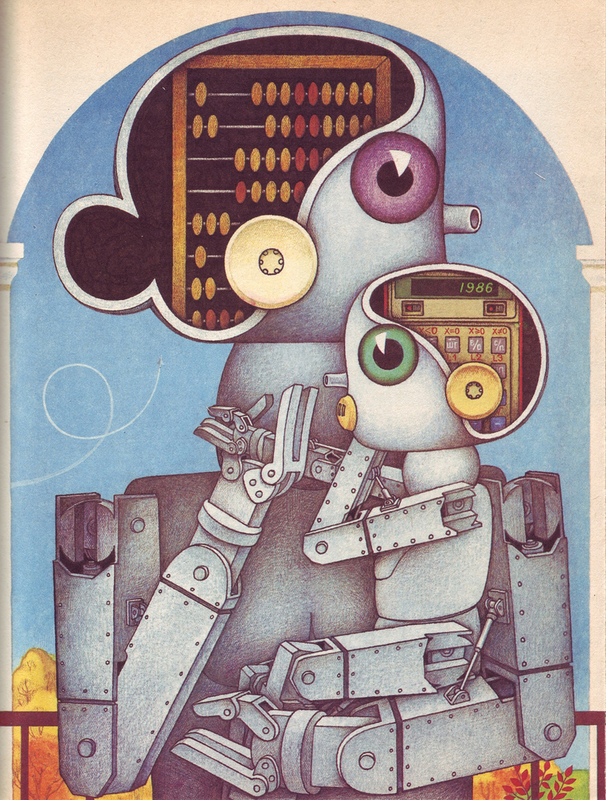 Illustrations by E. Benyaminson for Hello, I'm Robot! by Stanislav Zigunenko (Russia, 1989). A Journey Round My Skull: Mummy Was A Robot, Daddy Was A Small Non-Stick Kitchen Utensil. You think of it. Quickly, it’s gone. It can’t stay in your mind because it doesn’t fit with now, doesn’t fit with the whole now style, with what now says yes and no to without thinking. It might be a shard from a pot from a better future. Peace and Love and Noticing the Details title unknown. 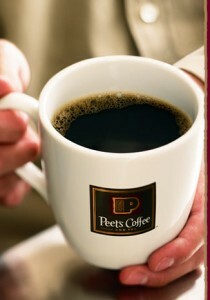 via FunCheapSF.com» FunCheapSF | Free & Cheap Things to Do in the San Francsico Bay Area 12/24/09: Free Peets Coffee Day. 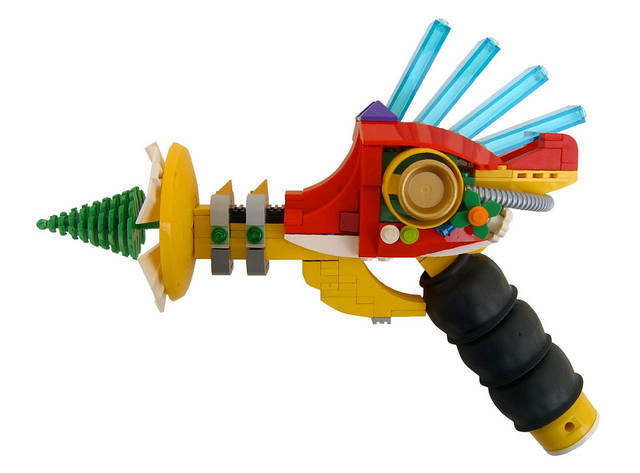 Andrew Colunga’s X-maspunk Ray Gun is a whimsical and wonderful device for conquering the universe and defending Santa’s sleigh from marauding Martians. 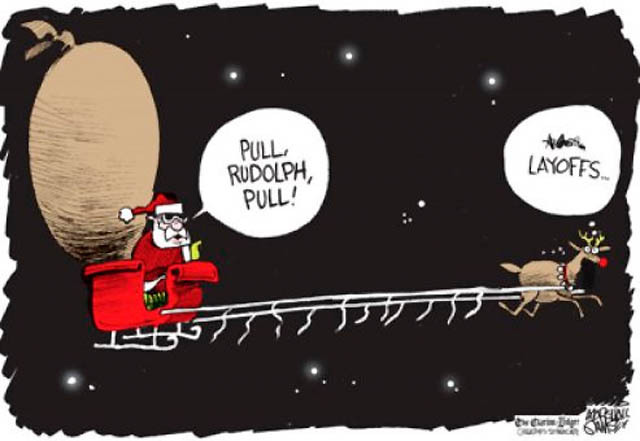 via Boing Boing Xmaspunk raygun.